Millon Elite is one of the top elite player training camps in the nation. There are a very limited number of spots available for this camp (25 A, 25 M, 25 D, 15 G) and spots are already filling up. Don't miss your chance to evolve your game with the best youth lacrosse athletes in the nation this summer and register today at millonlacrosse.com/register. 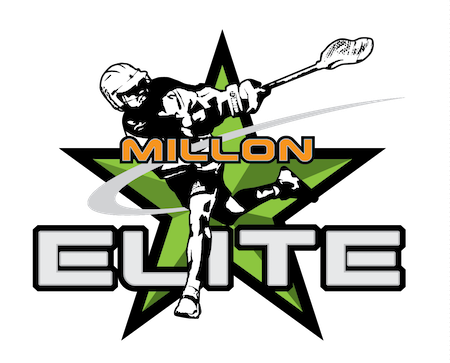 Millon Elite is a two night, three day player development camp for advanced players across the U.S. This camp will present an amazing opportunity for highly skilled players to maximize their potential and reach the highest level possible. Even if you are a highly skilled, highly ranked player in your class, if you have aspirations to play big time NCAA lacrosse, you have to continue to develop your game and we will help you accomplish that. During Millon Elite our athletes will experience intense, fast paced NCAA like sessions, we will do playbook and film study, feature speakers on strength and conditioning and nutrition, college recruiting and prep, as well as time management skill building. Millon Lacrosse is in its 24th summer of instructional lacrosse camps. We have had over 27,000 campers, and have numerous alumni playing NCAA lacrosse. Come find out why this summer!